After we recently featured the rap battle between the new Teenage Mutant Ninja Turtles single "Shell Shocked" and the classic hip-hop tune "Ninja Rap" by Vanilla Ice, the newer beat gets prime placement in a new TV spot for the August release. 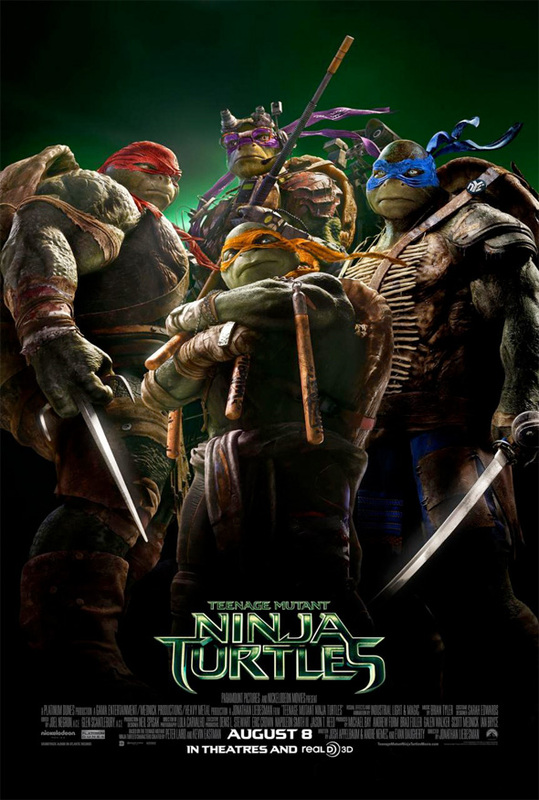 Leonardo, Donatello, Michelangelo and Raphael are back together and in full swing, and the more I see of this flick, the more excited I get. The characters seem to have been written perfectly with the right amount of comedy, and the new designs just don't bug me at all. 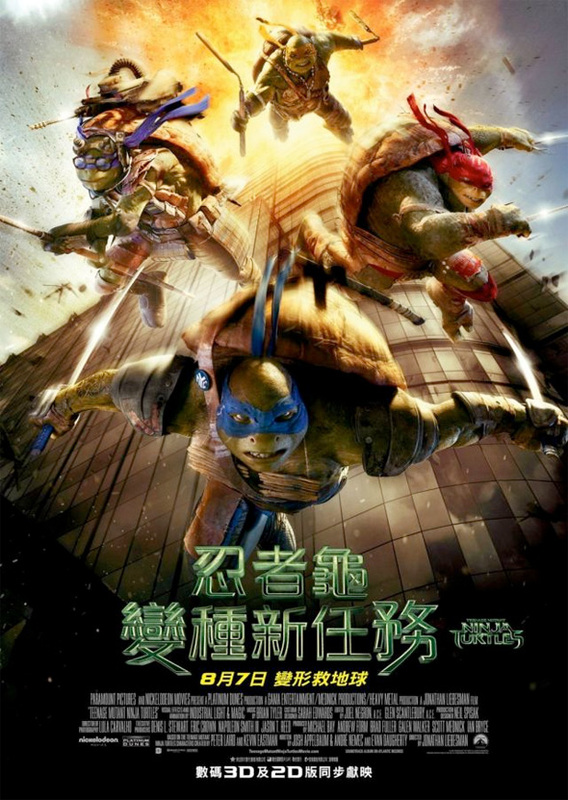 And for good measure, we've got some new posters showing off the heroes in a half-shell too. Look and watch now! I'm in! Looks like a good time! I'm out. Does not look good. This WOULD be great if I were 10 still. It still does not look terrible, just really mediocre. Can't wait to see it, look great. Looks terrible. I mean, do we really need (or want) a Mutant Ninja Turtles movie? Who asked for this? This looks great! I should stop smoking crack!